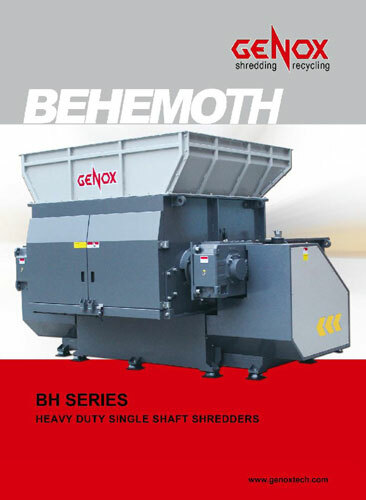 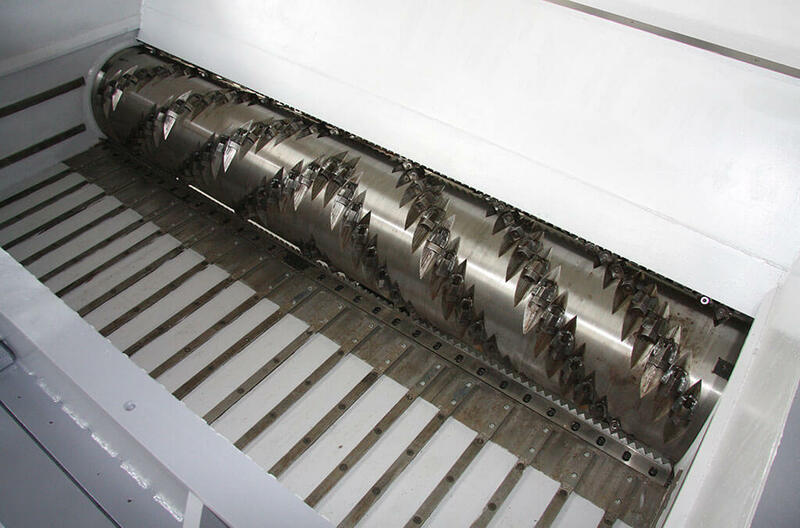 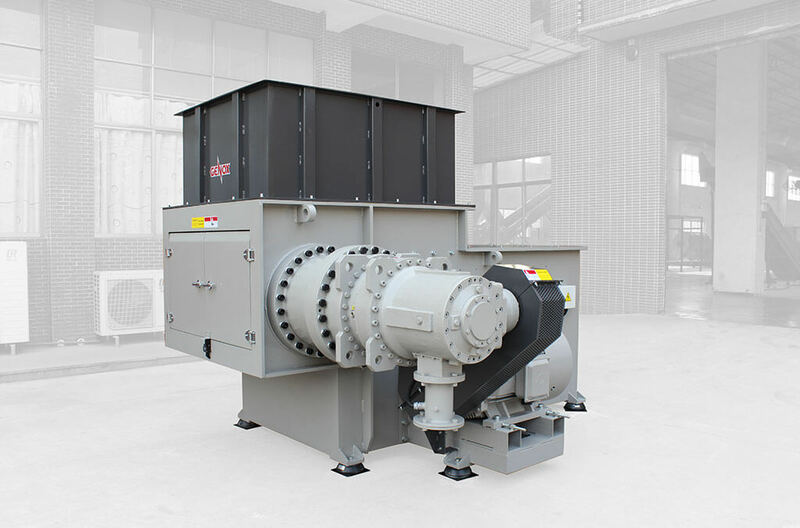 BH-Series Single Shaft Shredders are heavy duty size reduction machines suitable for processing a wide range of materials. 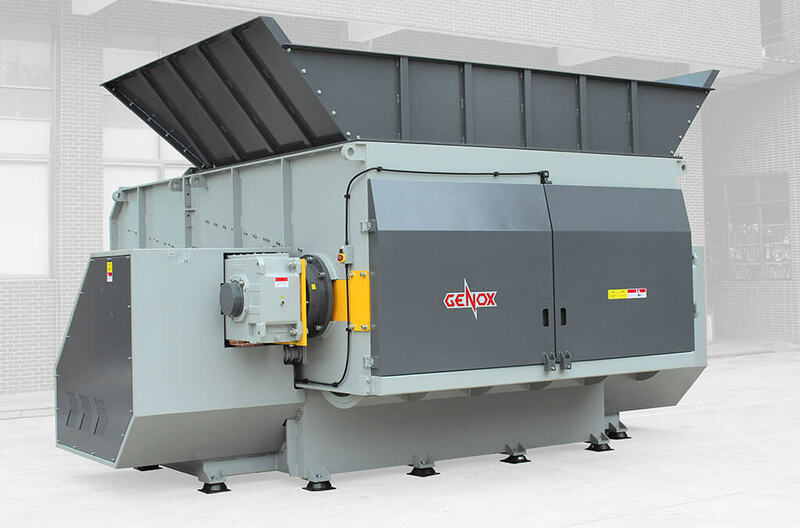 These shredders are ideal for especially hard and voluminous products. 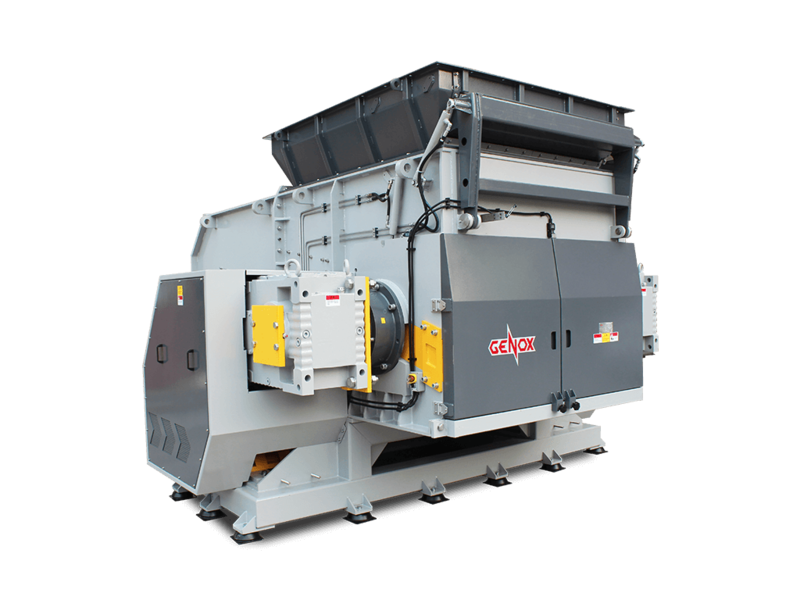 The large shredding chamber and loading hopper capacity, combined with the PLC controlled horizontal ram pusher ensures optimum feeding of material to the rotor therefore achieving the most efficient performance. 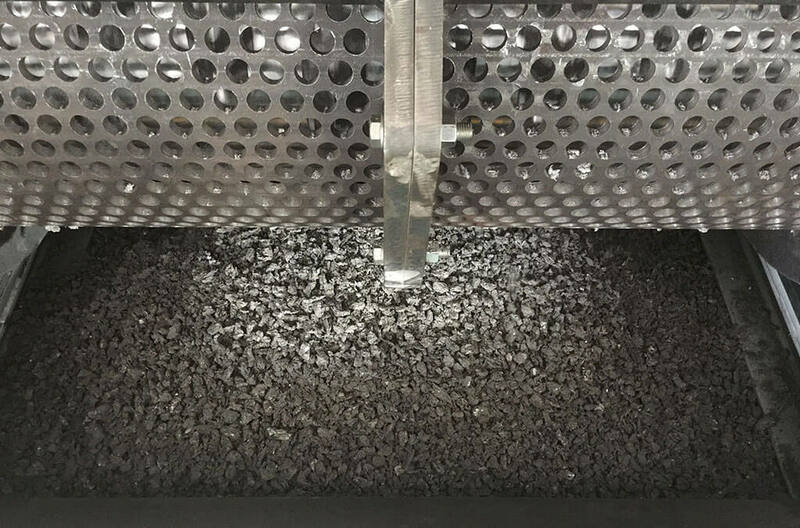 Throughputs typically range between 1,500kg/hr –25,000kg/hr+ depending on the model and material type. 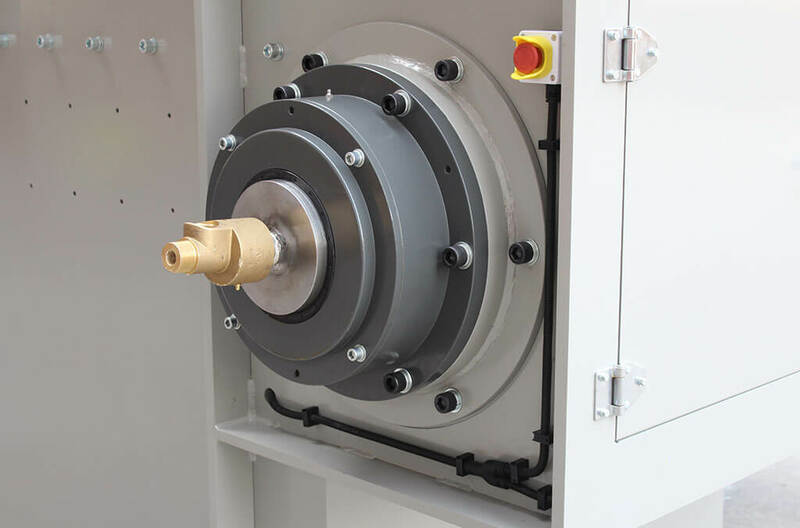 Pusher drawer mounted on heavy duty rollers.